Waikiki Beach in Honolulu, as one of the most popular beaches in the world, is situated on the Hawaiian island of Oahu and receives thousands of international travelers and tourist each year. Waikiki is the area of Honolulu bounded by the Ala Wai Canal to the north and west, Kapahulu Avenue to the east and the Pacific Ocean to the south - the are has a variety of vacation rentals & hotel accommodations. Waikiki was once a playground for Hawaiian royalty. Waikiki, meaning "spouting waters" in Hawaiian, was introduced to the world when its first hotel, the Moana Surfrider, was constructed these southern shores in 1901. Today, Waikiki is Oahu’s and Hawaii's primary tourists destination and is vibrant gathering place for visitors from around the world. Along the main strip of Kalakaua Avenue there is world-class shopping, dining, entertainment, activities and resorts. Everything in Waikiki is within easy walking distance of each other, there is also a trolley system. The Waikiki Trolley operates three lines from Waikiki. The scenic attraction Green trolleys run about 35 mins apart around Diamond Head to Kahala Mall. The historic and cultural sights Red trolleys run about 40 mins apart to downtown, Chinatown, and Hilo Hattie. The shopping and dining Pink trolleys run about 10 mins apart to Ala Moana Mall. You can buy passes online. Kapiolani Park, a large public park at the east end of Waikiki (toward Diamond Head), home to the Waikiki Shell amphitheater and the Honolulu Zoo. Right across the street on the shore is the Waikiki Aquarium. Honolulu Zoo, Open daily 9:00 AM-4:30 PM Lovely zoo with lots of exotic animals and plenty of the big-name ones like elephants, rhinos, lions, zebras and giraffes. $12, $6 residents, $3 children, under age 4 free (family pass available for $25). The Honolulu Museum of Art, Open daily, 10:00 am-4:30 pm. One of the world’s premier art museums presents international caliber special exhibitions and features a collection that includes Hokusai, van Gogh, Gauguin, Monet, Picasso and Warhol, as well as traditional Asian and Hawaiian art. Since its founding in 1922 by Anna Rice Cooke and opening April 8, 1927, its collections have grown to more than 50,000 works of art. 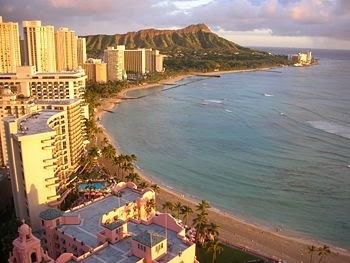 Tourist Info, Visit - Waikiki-Honolulu Vacation Rentals By Owner, Attractions, etc.